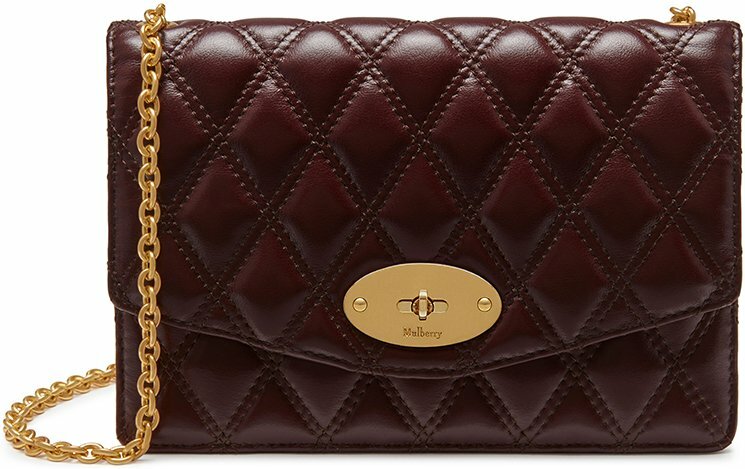 A Mulberry Quilted Bag? Well that’s rare right? 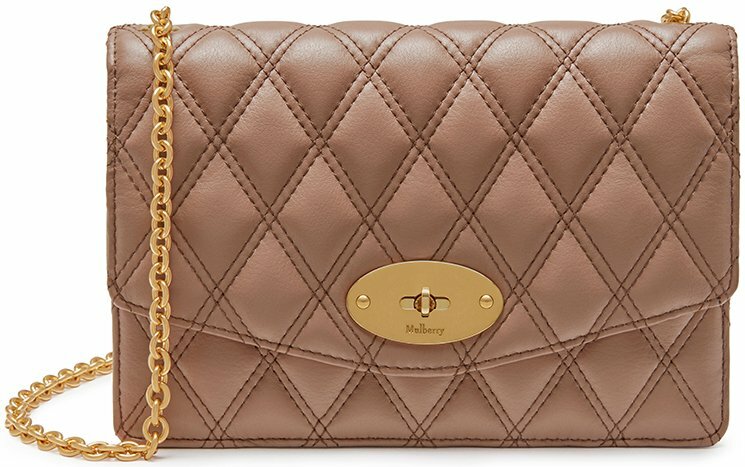 Now meet the Mulberry Darley Quilted Bag. The Darley is quite new but it’s already accepted as one of the upcoming iconic of the house. 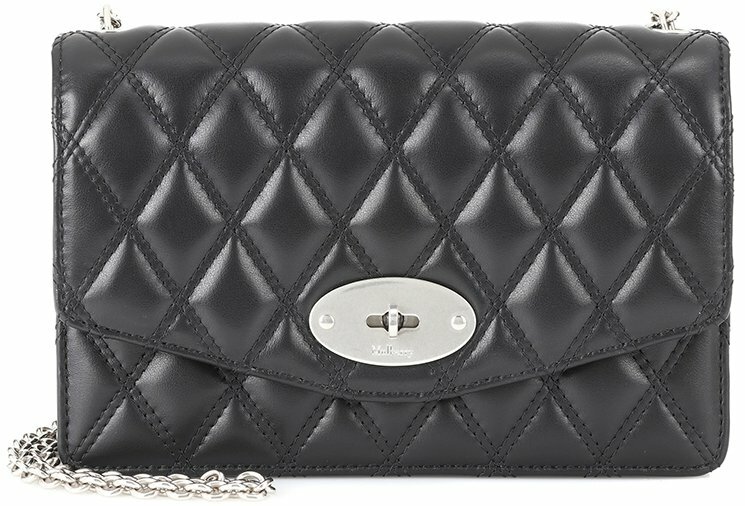 If you love Mulberry handbags, then perhaps it’s time to settle with a quilted one. 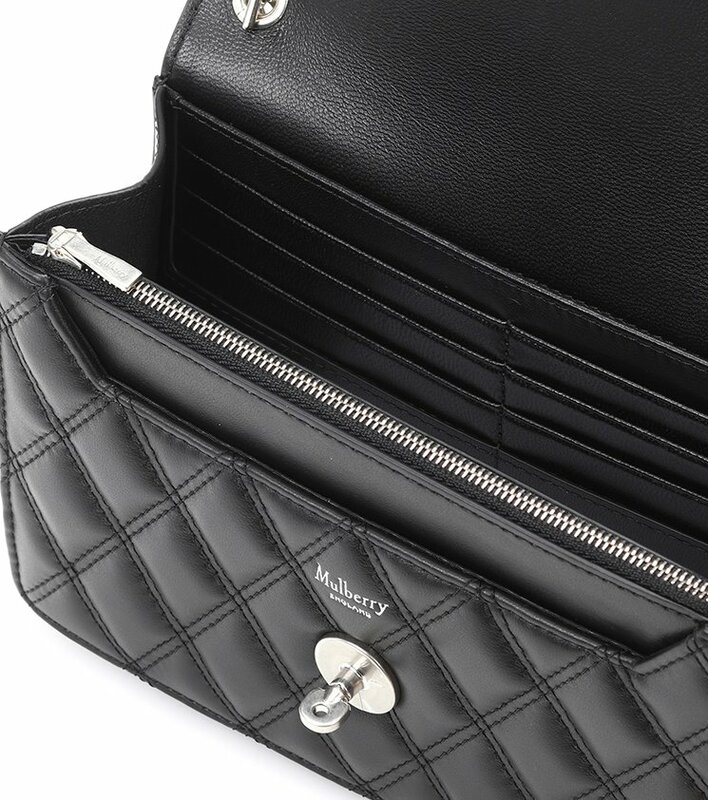 The Darley Bag usually comes in smooth leather, so the diamond quilted edition is quite refreshing. It also changes the entire look – first it looks simpler, more modern, now it’s like a classic bag. The most important piece is the center clasp, also known as the label’s iconic postman lock. This unique object has also been crafted on the first-iconic – the Bayswater Bag as well as on the Alexa bag. With the ladylike appeal, this handbag comes with a long chain strap, but can be detached anytime you want. With its organized and structured interior, this bag can be the ideal everyday bag. And on the back, you will also find a backpocket. And oh yes, there are many leather available, but the basic one is calf leather. You can also choose exotic leathers like python. As we’ve mentioned before, the interior is structured with many pockets. There is one main compartment, one zip compartment, two slip pockets and 8 credit card slots for organizing. You will absolutely love this bag. Measuring 4.5’ x 7’ x 2’ (H x W x D) inches, priced at $775 USD, €695 EUR, £595 GBP via MyTheresa. 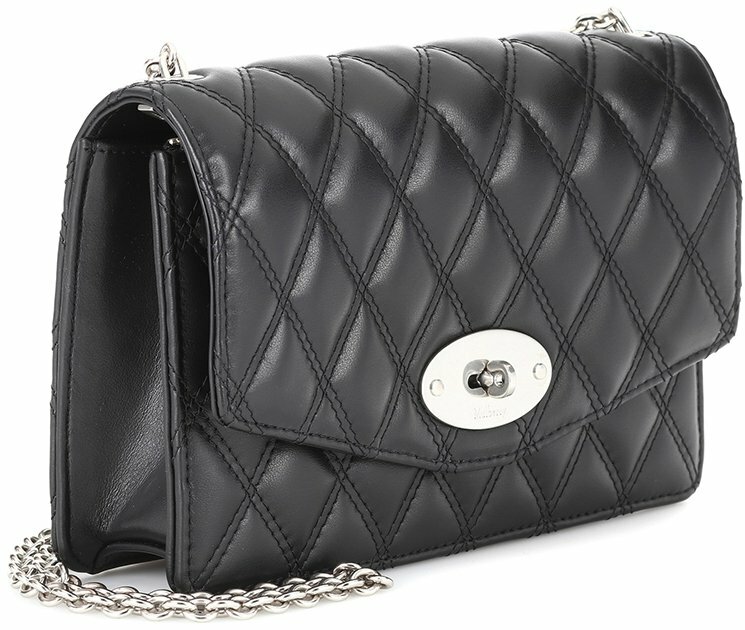 Where To Shop Mulberry Quilted Darley Bag? 1. MyTheresa – you can find the handbags here.